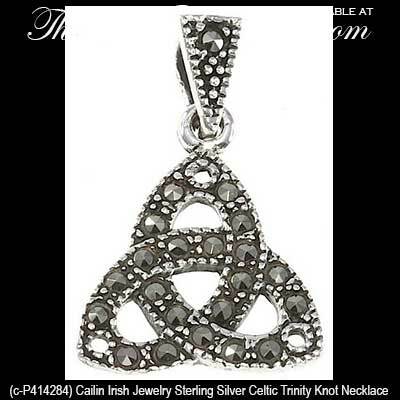 Sterling silver Celtic Trinity pendant is enhanced with marcasite stones. 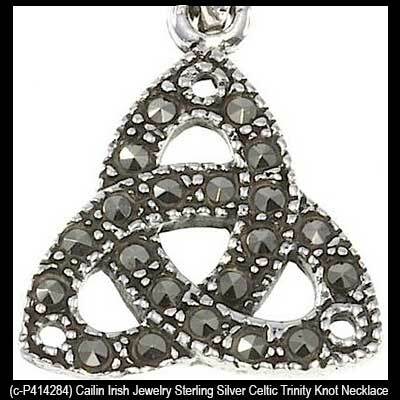 This sterling silver Celtic necklace features a marcasite stone accented Trinity knot that measures 1/2” wide x 7/8" tall, Including the jump ring and the chain bail. 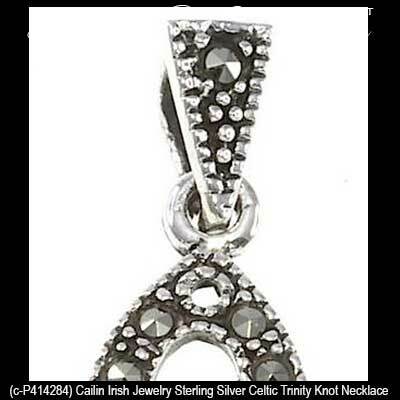 The Celtic pendant includes a 16” long sterling silver chain with a 2" extender.